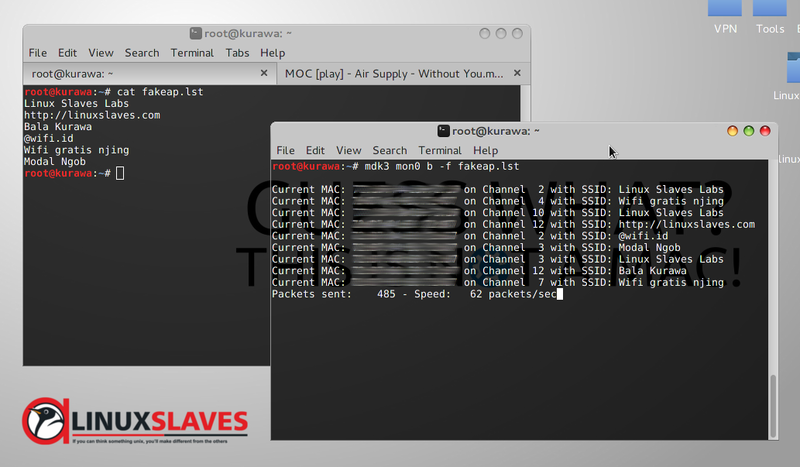 Create Mass Fake Acces Point On Kali Linux - Today we will play with network using our Kali Linux. I'll write simple ways how to create mass fake AP ( Access Point ) use one of linux hacking tools which installed by default in Kali Linux named mdk3. Explore youself for further activity. I think that's all I can tell about a simple way creating fake acces point on Kali Linux. Thanks for visiting us!